Location: Pool in atrium of Chester Beatty Library, Dublin Castle. 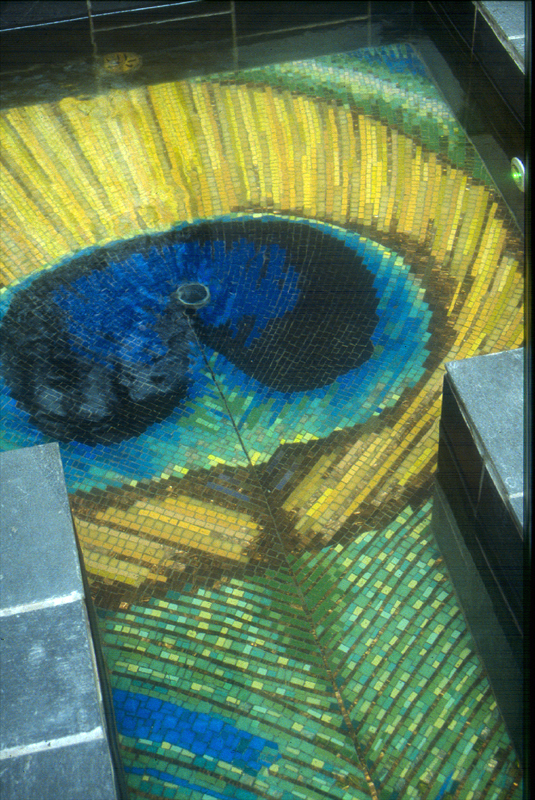 Description: A pool depicting an image of a peacock feather in close up. Rich colours are achieved by using glass mosaic. Client: O.P.W. commissioned by Designyard.